Determining the cost of electricity and gas is a complex business, but we’re happy to break it down for you. 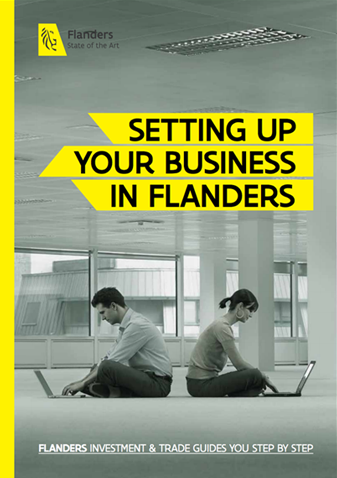 Get a comprehensive picture of utility costs in Flanders. Albeit relatively higher than in neighboring countries, the cost of electricity and natural gas in Belgium, and Flanders as region, is marked by a more favorable evolution than in the rest of Europe. While the price of electricity grew by 2.8% in the EU between 2012 and 2013, the Belgian electricity market saw prices drop by 0.4%. In the same period, prices for natural gas grew by 1% in the EU, while decreasing by 9% in Belgium, and Flanders as a region. The average cost of electricity in Flanders is at EUR 22.2 per 100 kWh, which is relatively higher than in Europe as whole. When it comes to the cost of natural gas, Flanders – at EUR 6.7 per 100 kWh – is less expensive than the European average. Companies in Flanders consuming less than 25 GWh per year (i.e. around half of the companies in the region) have an average electricity cost that is actually lower than in neighboring countries. Only a handful of companies in the region have a very high consumption of more than 250 GWh, and pay an average electricity cost that is higher than in other countries. One notable exception to this general rule? The chemical industry in Flanders is able to drastically cut its electricity costs thanks to targeted subsidies from the Government of Flanders. Compared to all countries and regions in the EU, Flanders has the lowest cost for the delivery of natural gas – mainly thanks to short distribution lines. Most companies use a combination of electricity and natural gas. If we consolidate the costs of both into one overall ‘energy cost’, Flanders is characterized by a lower average cost than that in most European countries. Note: this is the case for companies consuming less than 25 GWh per year, which is more than half of all Flanders-based companies. VLAIO extends two kinds of grants to companies in Flanders that invest in eco-friendly projects, such as those that support or feature a shift to renewable energy. Learn more about eco grants awarded by VLAIO.